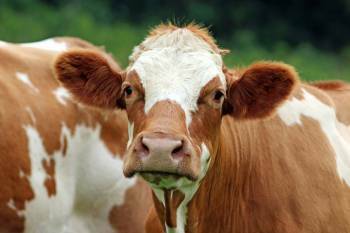 Dairy Breeds are cattle breeds that are bred for their ability to produce both high quality and quantities of milk. The milk produced by dairy breeds is used by dairy farmers for milk production and other dairy produce. Some dairy breeds milk is more suited for the production of other dairy produce besides milk such as, cheese and butter due to a higher butterfat content or protein to fat content. 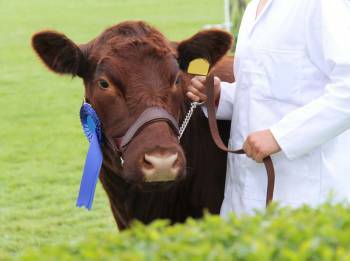 Jersey’s, Guernsey’s, Brown Swiss, Montbeliarde, Simmental, Salers and Ayrshire’s are popular dairy breeds for cheese production. Holstein dairy cattle are the most popular dairy cow for milk production as it produces the most milk. Although Holstein-Friesians produce a high volume of milk it is frequently thought to be not of an ideal quality for cheese production. 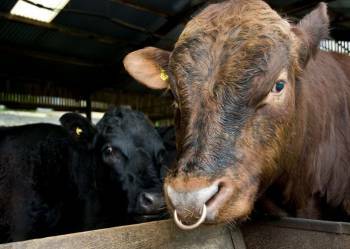 It is also an intensive dairy breed that needs a high input of food to produce a high output of milk. 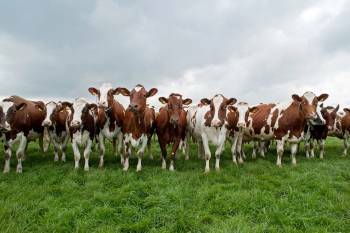 Cattle genetics can play an important part in dairy cattle breeding ensuring the important genetic traits required for your unique farming system are optimised or equally if you need to breed out issues in your dairy herd. The Holstein is one of the most common dairy breeds and is renowned for its black and white markings. It is very popular with dairy farmers due to its ability to produce large quantities of good quality milk. Friesian cattle produce large quantities of milk and their male calves can also be fattened to produce good quality beef. They tend to be slightly smaller than Holsteins with more flesh and pedigree cows produce around 6,020 litres of milk annually. The Brown Swiss dairy breed originates from the Alps of Switzerland, and is a hardy, resilient breed. 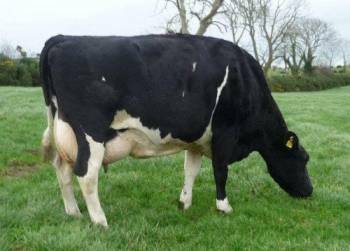 They have the second-highest milk yield annually of over 9,000 kg second only to the Holstein Friesian. Their milk is unique with longer-chain fatty acids and smaller fat globules in the cream ideal for cheese production. The Ayrshire is is one of the best foragers, extremely hardy and suitable for adverse climates due to the ruggedness and unfavourable climate of their origins. These traits make them an exceptional commercial dairy breed. Their calves are known for their vigour and ease to raise and their bull calves make profitable steers. 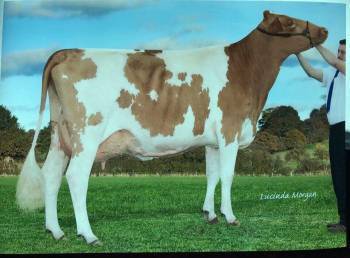 Top milk producing Ayrshires can exceed 20,000 pounds of milk. 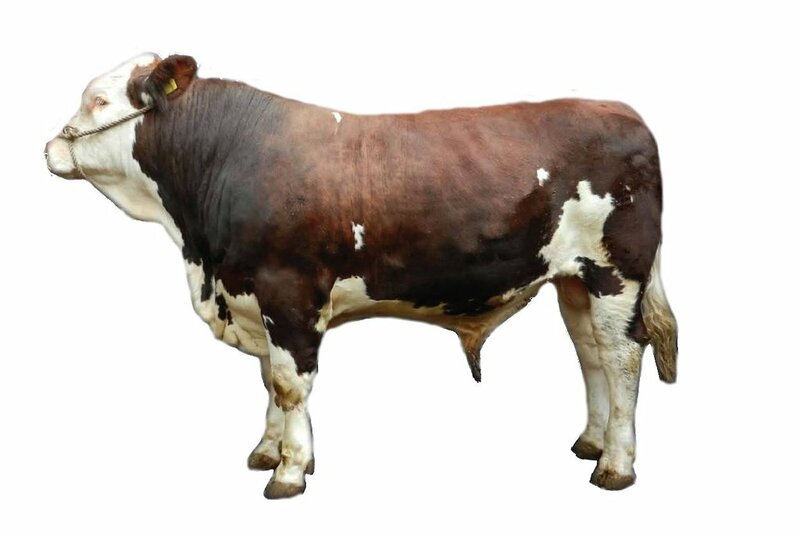 The Montbéliarde is of similar colour to the red and white Holstein. They have a white head and light muzzle. They are renowned for having strong udders and tough feet.